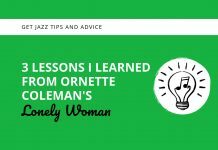 One of the most important things a jazz musician can do is learn jazz language. Jazz language is simply the vocabulary used by jazz improvisers, and there are many ways to go about learning it. One way is by learning licks. Licks are short phrases, usually extracted from a particular chord progression or chord. They are bite sized chunks of jazz vocabulary that we can learn, memorize and use in our playing. Learning licks has many benefits. If you are learning them by ear (which is the best way) you are exercising your ear and strengthening it. It helps you micro focus on a small piece of language, as opposed to the macro version of learning an entire solo. Learning a lick is something that can be done in one practice session. It can be a quick win and a good days work. However, many musicians learn licks and completely waste their time. They waste their time because at the end of the day they learned it and called it good. Or they waste their time because they misunderstood the point of learning licks entirely. Often it’s not what musicians do to learn licks; it’s what they don’t do. In general, it’s not hard for most musicians to learn some rhythmically organized notes on their instruments. But if it ends there, it could all be for naught. I want to help you not waste your time by pointing out three common mistakes musicians make when learning licks. Avoid these common pitfalls, and you’ll be on track for getting the most out of the jazz licks you spend time learning. Mistake #1: Learning but not internalizing. 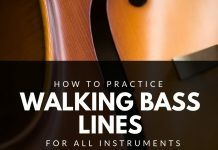 I already mentioned that it’s not difficult to learn some notes on your instrument and feel like you know it. But the idea of learning a lick is not to feel good for the moment that you played something a jazz hero of yours played. The idea is that you can incorporate those sounds into your playing. A common flaw is the “more is more” mentality. The more licks and lines you learn, the more your vocabulary grows. But it doesn’t work that way. It’s far better to spend a generous amount of time on one than learn ten. So how do you internalize a lick? Repetition. Can I sing it? Singing has nothing to do with playing your instrument. But the power of singing is that it confirms that you can hear it in your head. You can easily learn a lick on your instrument and rely on your muscle memory. You don’t want that. It’s cliche, but it’s true: if you can sing it, you can play it. Can I play it in all 12 keys? I often preach the power of practicing in all 12 keys on the blog and podcast. Not only does it call for repetition, it challenges your ear to reproduce the lick in different key centers. 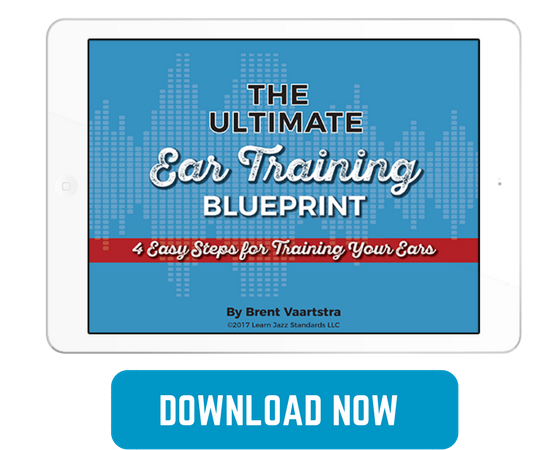 This is training your ear to recall the idea no matter what key you are improvising in. With this kind of work, you can even start using the lick in ways it wasn’t originally intended. Can I play it along with the recording? If you learned the lick from a recording, you should be able to play along with it. This requires repetition but also forces you to analyze the phrasing of the musician playing it. It causes you to listen for the subtleties. Mistake #2: Learning but not analyzing. Again, it’s easy to learn a lick and say “hey, that sounds cool.” and then move on. But if you only look at the surface of the music you’ve learned, you’re missing whole other levels of depth and richness. It’s important to spend some time analyzing what you’ve learned. Why does it sound so good in the first place? Why did it catch your ear? If you start with those basic questions, you can start to take a look at what gives it genius. If you know what makes it so genius, then you can start to utilize those tools yourself. What chord progression is it over? A ii-V-I in the key of C. That’s important information. Obviously, in this case, the lick is notated. But if you learn it by ear you will need to identify the context of the line you are hearing. What are the important connecting notes? This question is mostly appropriate for a lick over a chord progression, but this is an example of something to look into. In this particular lick, I’ve identified the guide tones, which are the 3rds and 7ths of the chords. The 7th resolves in a stepwise motion to the 3rd of the proceeding chord. This is why this line outlines the chords so smoothly. More questions can be asked: Are there any patterns being used? Are arpeggios being used? Are there any altered notes played over a chord, and if so what are they? Be sure to spend extra time analyzing the musical information you’ve learned. This will deepen your understanding and ultimately the amount of benefit you draw from it. 3. Trying to play the lick verbatim while improvising. This is a classic mistake. Often musicians will learn a lick and be anxious to play it at their next jam session or gig. While I don’t want to go as far as to say this is completely off limits to do, there are many problems with doing this. 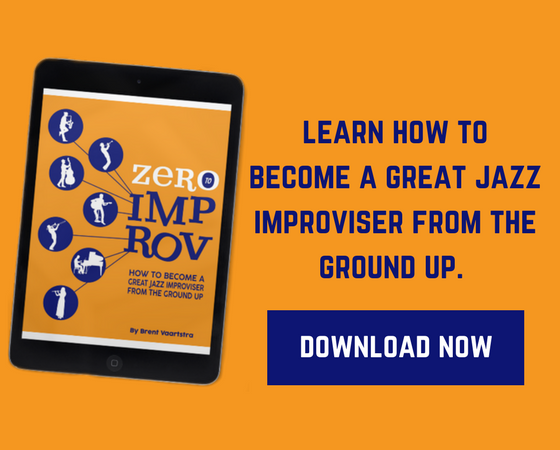 The first problem is that you are no longer in the spirit of improvising. It’s one thing to be improvising and the lick comes out organically, but it’s another thing entirely to plan on playing a lick at a particular part of your solo. Usually, when this happens, it stops sounding like music and more like a string of random ideas. I’ve heard these kinds of players called “Lick Players.” Again, the issue is not that a lick is being played, it’s that a lick is being placed. If your intention in learning a lick is to be able to quote it verbatim in a playing situation, you have missed the point. So what is the point of learning a lick? The point is to familiarize yourself with jazz language so that you can start playing it with freedom. For example, if you learn a verbal language other than your native one, you probably start by learning sentences and phrases verbatim in a very particular way. But as you start to understand the language better and learn more, you can start to express yourself without quoting phrases or things you have read. 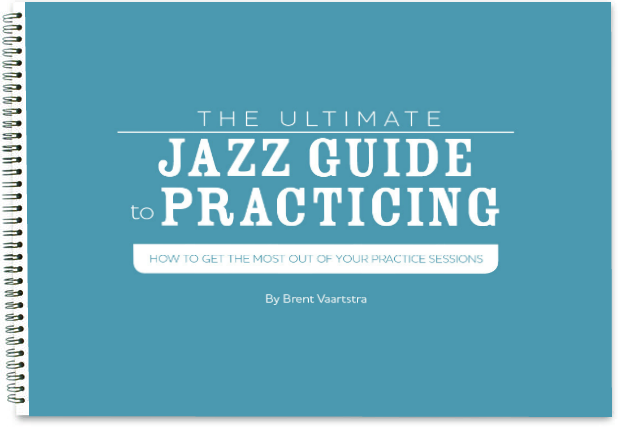 Learning jazz licks is a great practice that every aspiring jazz musician should work on. Be sure to avoid these common pitfalls, and you’ll be maximizing your time investment and fast-tracking your musical growth.